Bushey Croft and Lister House Planning Applications. Is this what Harlow Council calls consultation? Residents living near the play area between Bushey Croft and Rushes Mead and at Lister House were recently invited by Harlow Council to attend exhibitions near to both sites about plans to build new homes on them. In the case of Bushey Croft it soon became clear that residents living near the site were almost entirely against the building on land which had been used for recreational purposes for over 50 years. It came to light very late in the day that very few residents living near Lister House had been invited to the exhibition held in the church hall nearby and other arrangements had to be made to help ensure that as many people as possible could express their views on the proposal. Following these exhibitions, formal Planning Applications were made by the Council. Despite the comments made by residents, the plans were almost identical to the original proposals. Residents living near the Bushey Croft plan have submitted two petitions, signed by about 200 people, objecting to the granting of Planning Permission. 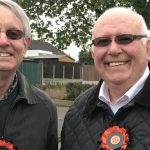 These petitions together with other comments from members of the public were initially uploaded on to Harlow Council’s website but within a few days were removed. As a result, both residents and the Councillors who will determine the outcome of the Planning Application have no idea of the outcome of the consultation exercise carried out by officers of the Council. The same goes for the Planning Application for the Lister House site. 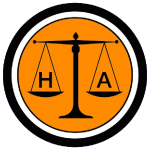 The Harlow Alliance Party believe that all comments received about Planning Applications must be available to view on it’s website so that all points of view can be taken into account before decisions are made. It will be very interesting to see the outcome of these Planning Applications. Will they take heed of residents objections?